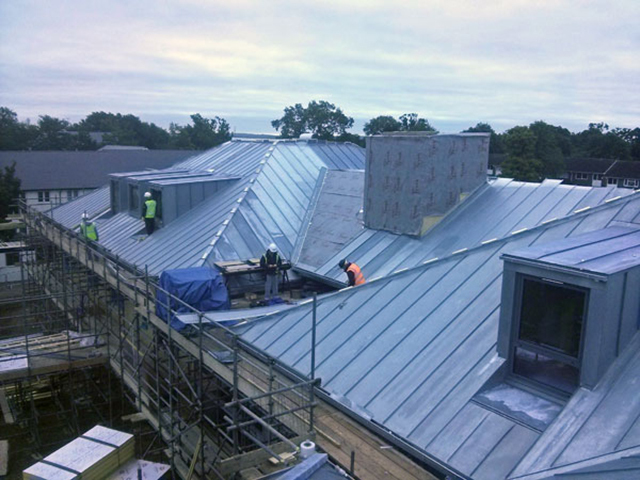 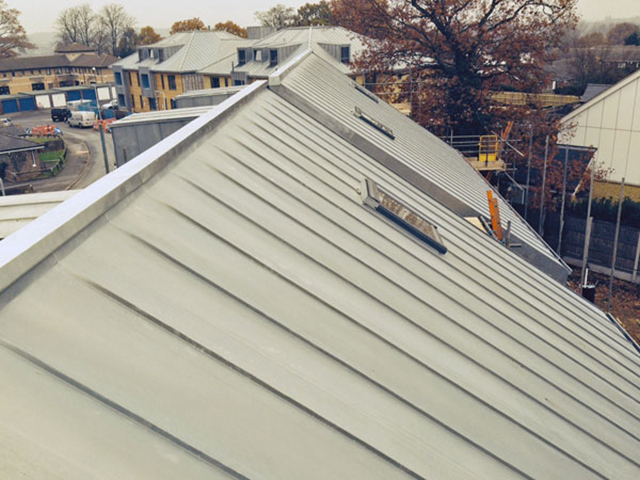 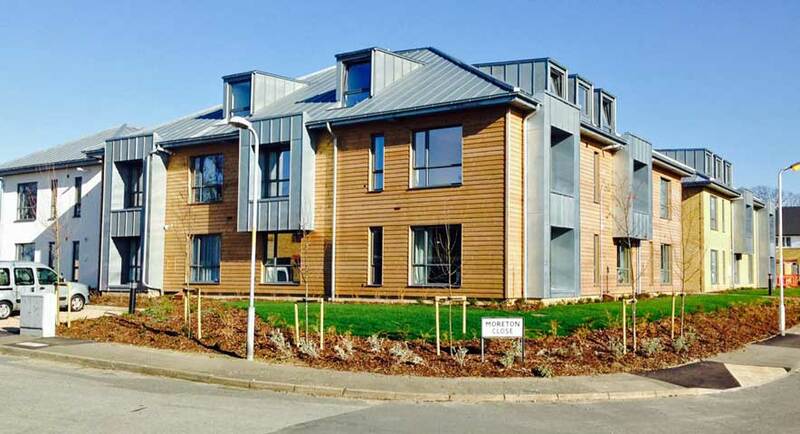 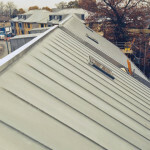 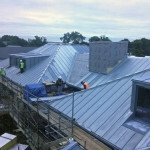 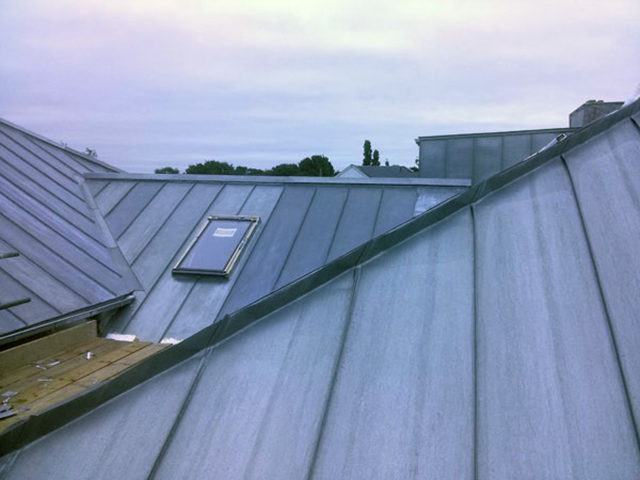 This current project comprises the zinc multi-roof to a large new-build housing project in Swanley, Kent for West Kent Housing Association. 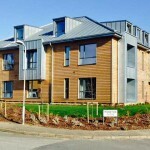 There is one large building for flats with multiple hips and valleys and including 12 dormers and several large projecting bays and also two smaller buildings comprising four houses. 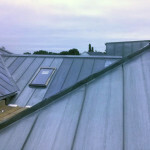 The zinc is Natural finish and the different stages of weathering of the various panels is visible.